https://www.languagetool.org/nl?txt=Dit%20is%20vout or something like that. I agree. Could be useful for many things. I like that idea, too. The part that’s easy to implement is showing the text from the URL. But how to create that URL? Have a new page where users can enter text and redirect them to the result page? Is the result page read only or editable? Or use a completely different approach? 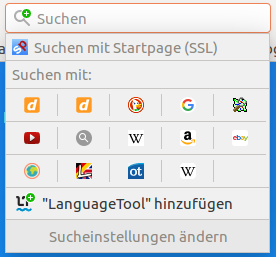 I think just jump to the languagetool.org in the right language with the test in it, and check executed would be great. For me, I would do that manually at first, just quoting the text and adding; it might even have to be passed through a link shortener. This always works with automatic language detection, so it can also be used to show issues with that. Whether you use the homepage or a sub page (like /nl/) doesn’t make a difference. For now, this is limited to 200 characters. Sorry, this was not the case. There was a trailing space in spelling.txt, which caused a runtime error. There’s now a page that helps to create these links: https://languagetool.org/link - it still has a bug, you need to click the link twice two work (I mean the link on that page, for the user who gets the link it will work like any other link). First time around, there was no line around the text box, and it did not work; after a refresh, it did. Not serious, but just so you know. Nice help! This will be fixed with the next update. It’s better to submit these cases as issues on github, here they get easily lost (as you edited your post, I didn’t get any notification about that edit and almost overlooked it). If you then set a shortcut, say lt, you can type lt This is an test. into the browser address bar to get to LT and have that sentence checked (sure, it only makes sense for short texts).